Product Description: Liquid Brush on Carbon Off. 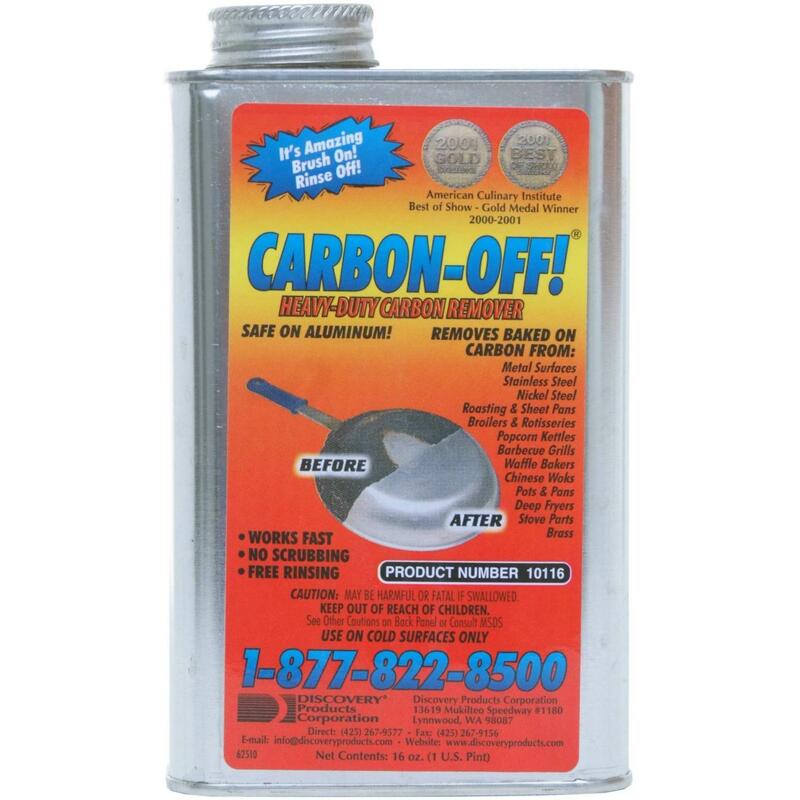 Liquid brush on Carbon Off is used for thick build up of grease, grime and carbon. Can be used on pots, pans, grills, chinese woks, popcorn kettles, glass, brick, waffle bakers, deep fryers, stove parts, broilers, rotisseries, roasting & sheet pans, all metal surfaces. 1 pint (16oz )cans. Product CANNOT be sold in or shipped to California.